Eye On Tampa Bay: Buckhorn on the Rays crazy or sly like a fox? Buckhorn's first pitch in the baseball stadium saga is low and inside. Just a day or so after the St. Pete City Council approved a deal to let the Tampa Bay Rays look for a new stadium site Tampa Mayor affectively pours some gasoline on a newly smoldering fire. Buckhorn is indicating an apartment complex housing 327 low-income families that are mostly African American currently is his favorite location for the new baseball stadium. Towards accomplishing these objectives, the plan proposes the acquisition of 182 properties, the relocation of 25 businesses and 45 owner-occupant and 281 tenant households, the demolition of 262 structures, and extensive sight improvements, including street and sidewalk improvements, landscaping, the construction of detention basins and some municipal parking, and rerouting of utilities to provide redevelopment parcels unencumbered by utility and access easements. Buckhorn said, "I don't hide my optimism for that particular site," following a City Hall news conference Friday. Buckhorn's suggestion and optimism for the Tampa Apartments location brought up some interesting questions. 1. Does Tampa want to go through the agonizing relocation of 327 low-income families and all the negative publicity that might result? 2. Does Major League Baseball want to be a party to another political nightmare about displacing poor people for a palace for the boys of summer to play in? 3. Does Buckhorn really want to run for Governor while he is kicking 327 poor African American people out of their homes for a baseball stadium? The property that the Tampa Apartments is on is privately owned and the owners have expressed an interest, so there would be little if any taking of property by eminent domain, but there will be gut wrenching stories of elderly African-American people being forced to leave their homes. 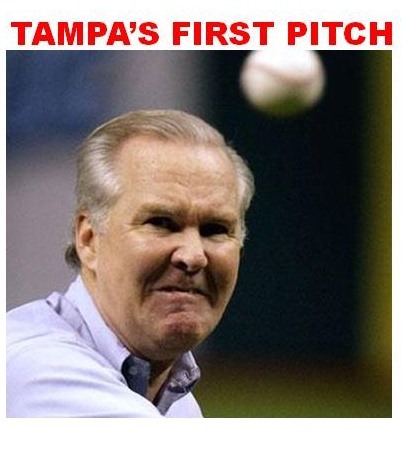 The real question may be is this Mayor Buckhorn's first choice or is just a simple way to not so quietly nudge the whole baseball question out to Hillsborough County?